On Monday, October 22, 2018 what are you doing? Your vote in the upcoming municipal election can determine who makes decisions about the services and policies that impact your daily life. Oxford County has eight municipalities. Each city, town, or township elects its own council and mayor who is head of the local council. The County of Oxford forms a second tier of local government, composed of ten members including the mayors of the area municipalities, and two elected City of Woodstock councillors. The head of County Council is the Warden who is also elected every four years by a vote of Council. Municipal governments do more than fix roads and pick up garbage! Municipal government has a key role to play in poverty reduction due to the social infrastructure provided by municipalities. This social infrastructure includes municipal facilities, programs and services such as affordable housing, subsidized childcare, recreation, transit etc. Before the municipal election on October 22nd, we’re encouraging all voters to consider how we can work together to create a more prosperous community for everyone! On September 10, 2018, the Social Planning Council Oxford contacted all municipal candidates via email (and followed up with a phone call), provided an introduction to, and a link to the following survey. The survey questions provide an opportunity for voters to start a discussion with candidates about poverty reduction.  Our hope is that this survey serves as a starting point to an ongoing conversation about poverty in Oxford County. Participation in the survey was voluntary. Responses provided by the candidates that completed the survey are posted by municipality, and have not been changed in any way. The Social Planning Council Oxford a would like to thank those candidates who have completed the survey. Please read the results, share them, and don’t forget to vote!